What a fabulous night this was — perfectly clear and the gibbous moon lighting up the mountains. It was a wonderland for nightscape photography. I took this shot late on Friday, July 6 at Bow Lake in Banff, Alberta. 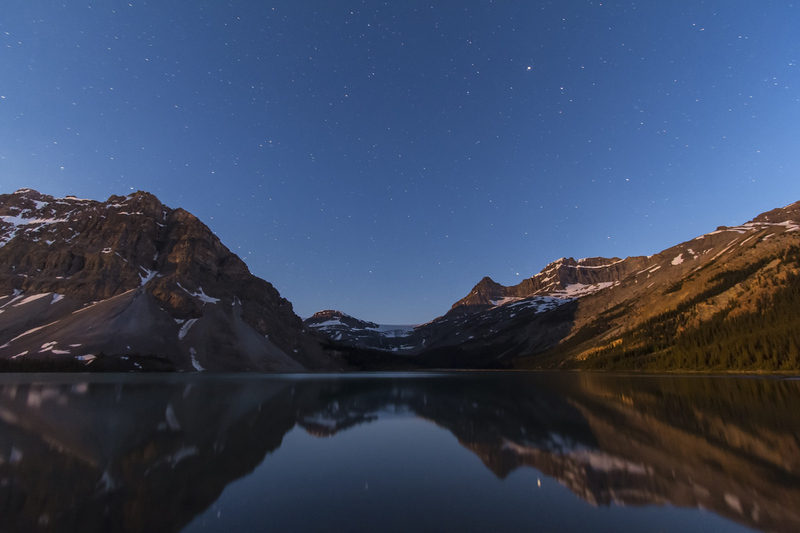 The summer stars shine behind Bow Glacier, and the peaks are illuminated by the rising waning Moon. Saturn, setting behind the continental divide, is reflected in the still waters while Arcturus shines high in the sky. This is one frame of 320 I took through the night for a time-lapse movie, and for stacking into a long star-trail composite. Those are still to come! 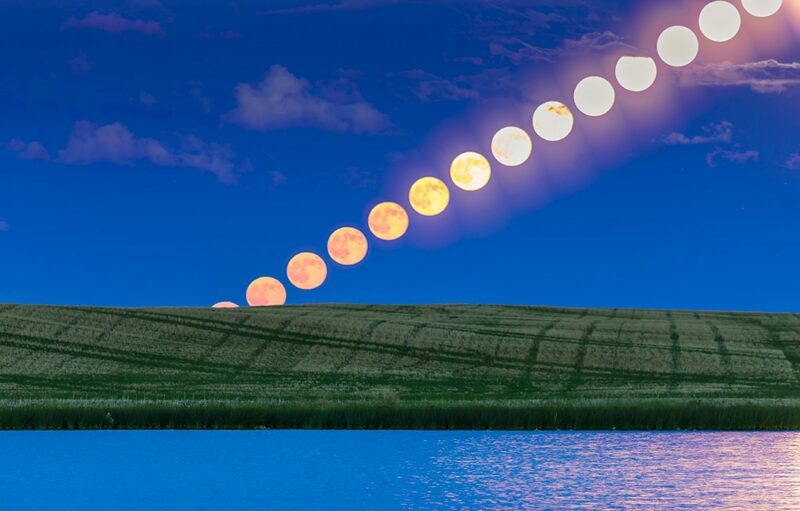 Compare this to the scene I took last summer under a dimmer quarter Moon and later in the season. So amazingly gorgeous!!! Love this planet and your photographs.